A little sneak peek into the nursery. I’ll be honest and say I get a lot of emails from companies that sell prints and posters online and they want me to feature them on the blog. One of the main reasons I turn them down is that I know how much of a pain it can be to find frames to fit prints and if you want to get it done properly it can cost a lot of money; far more than the value of the print itself in most cases. Well, I have a brilliant discovery to share with you today that I hope you will be as excited about as I am. 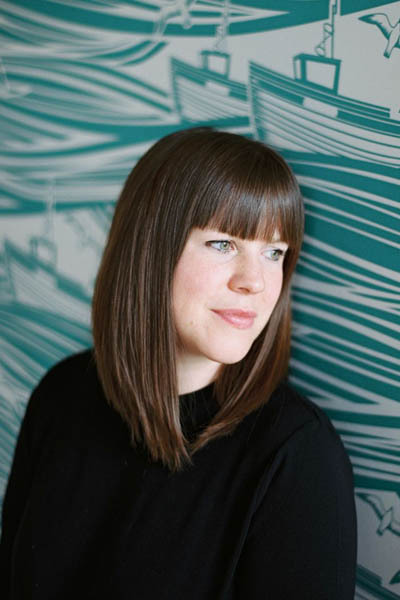 When King & McGaw got in touch I was a little sceptical that their new bespoke handmade framing service would live up to its name but it did – and more. It is not often that companies exceed my expectations but this is one of those occasions and the fact that the service is cheaper, yes cheaper, than the off-the-shelf frames I would normally buy is just amazing. Let me tell you how the service works. 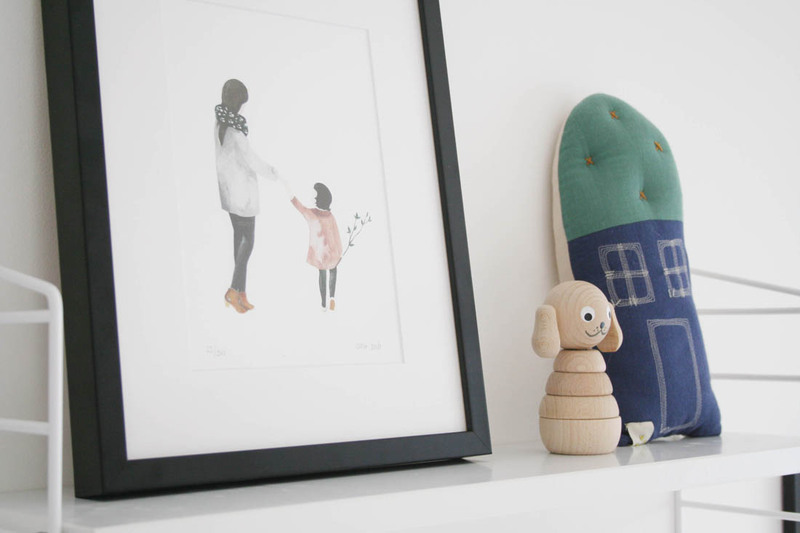 You can either order an art print from King & McGaw (so many cute kids prints!) and choose to buy it framed or just buy a custom frame for a print you already have at home, which is what I did. I have two prints that I want to put in the nursery and I needed them to be framed but as per usual, they were sitting on the side and at the bottom of my to-do list. I had looked online and neither print is standard sized and I wanted them to have a mount, which makes the whole thing so much more complicated. 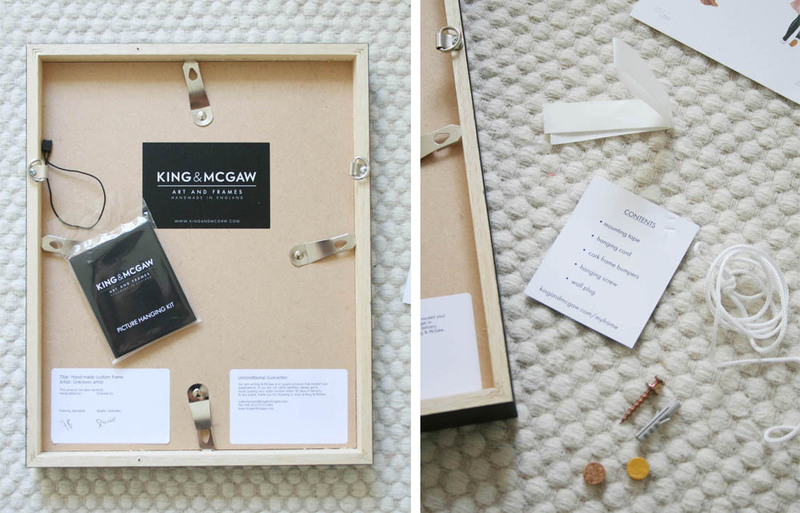 So, King & McGaw’s online bespoke framing service is perfect! All I had to do was put in the exact dimensions of my prints, choose the colour and style of frame and add a mount if I wanted one. Within a few days along came a perfectly wrapped parcel (the last time I ordered a frame it arrived smashed to pieces) with two beautifully handmade frames, still smelling of paint. It was like I had been to the framers. 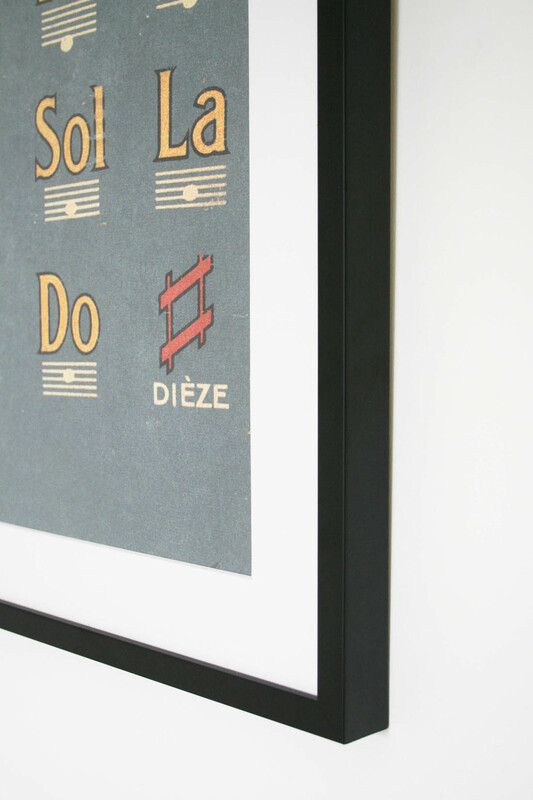 The frames are beautifully handmade and very easy to add your own prints to. 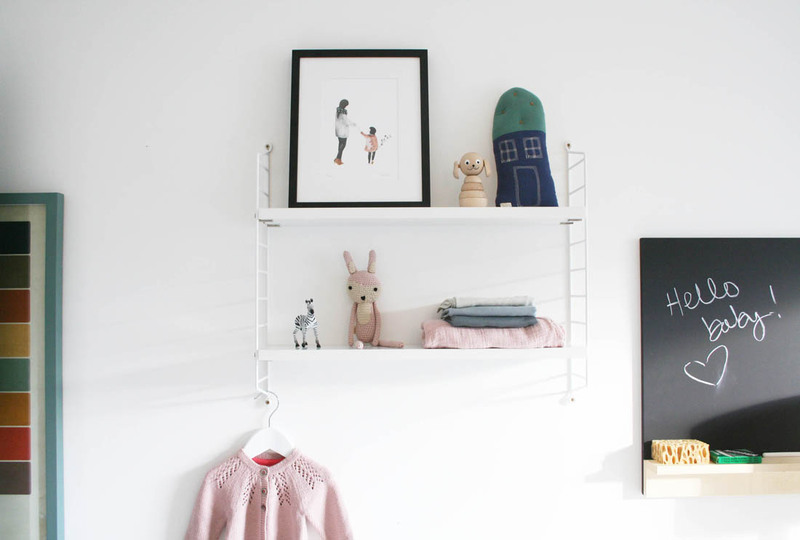 A really lovely and handy feature is that each frame comes with its own little hanging kit…a great touch. 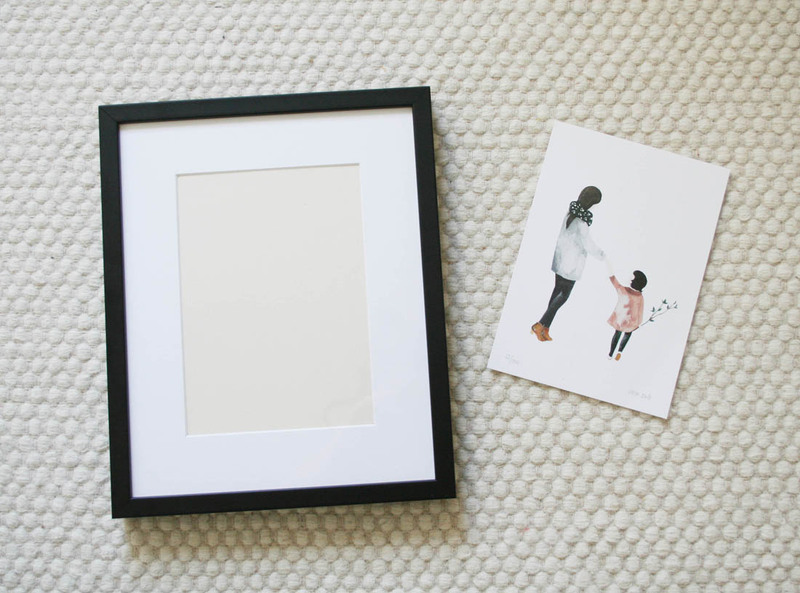 I ordered a solid wood slim frame with a satin black finish and mount for this lovely Saar Manche ‘Mother and Daughter’ illustration for the nursery. 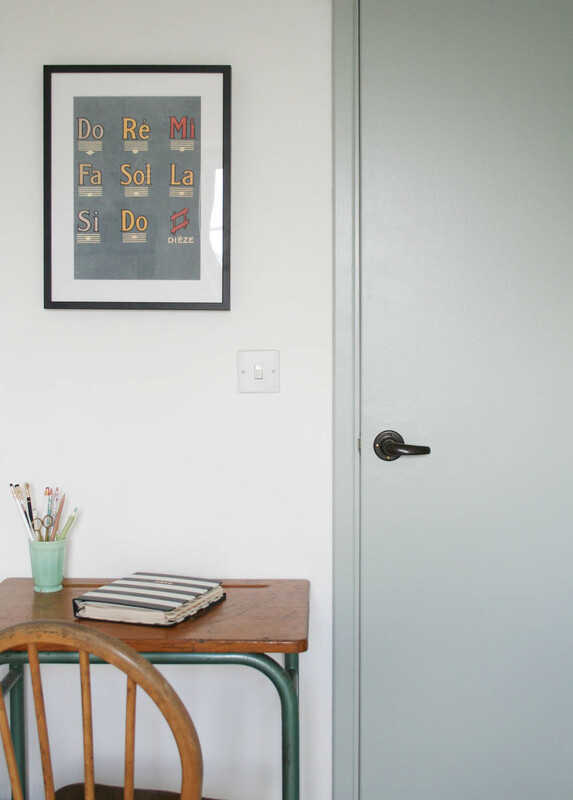 I also ordered the satin black slim frame for one of my favourite Double Merrick prints to go above my new little desk space squished into the corner of the nursery. I have always said that it’s a good idea to add touches of black to any room to help ground the scheme and create a bit of contrast and picture frames are a great way of doing this. However, I have a few more prints that I plan to get framed by King & McGaw and I would love to try their white limed ash frames and the oak frames, too. The one thing that I could find fault with – if you can call it that – is that the ‘slim’ frame isn’t quite as slim as I would like it to be but I suppose with handmade wooden frames there is a limit to how slim you can go compared to metal frames, for example. Other than that the service was faultless and the products are amazing. This will be the only place I buy frames from now on and I promise this is not just late pregnancy emotional gushing!!! *This was written in collaboration with King & McGaw. As an aside, please can I ask where the carpet in the photo is from? I love the texture. I can totally relate to the not getting around to framing things issue, there always seems to be more things to do first. Being able to order a custom frame sounds great and very usual. Definitely one to remember. 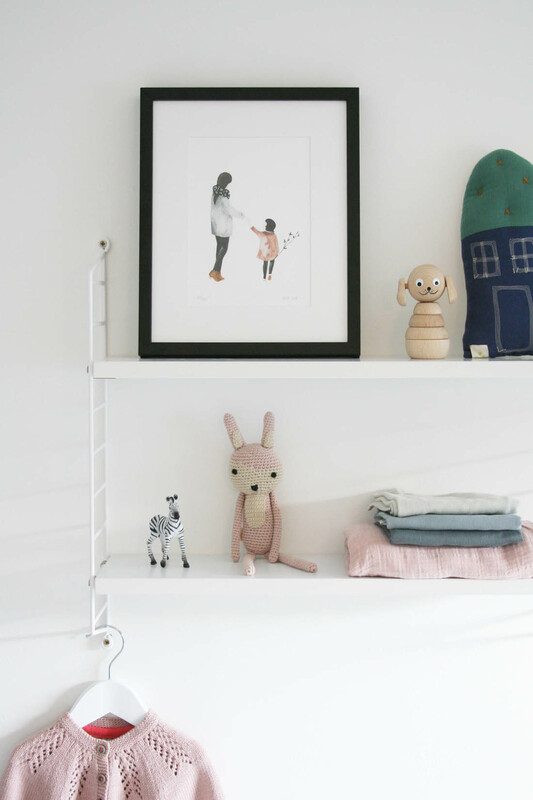 Your nursery looks gorgeous! Those prints are lovely. I’m a bit picky with frames and tend to head to the framer’s in town but it does cost a fortune so having a more affordable one on standby is much appreciated. Thanks for sharing! That’s a coincidence, I discovered King & McGaw just the other day when looking for wall art. Didn’t realise about the frames – that’s brilliant!